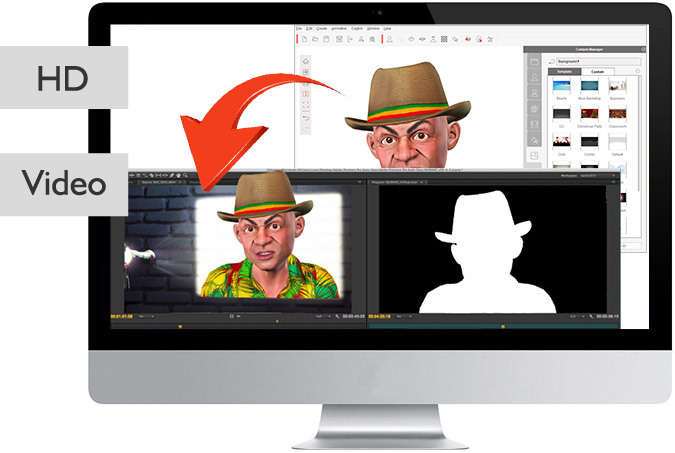 One-Click 3D Head export to iClone, or Character Creator, for complete 3D avatars, and full-body animations. Export talking scripts from CrazyTalk 8 to iClone. 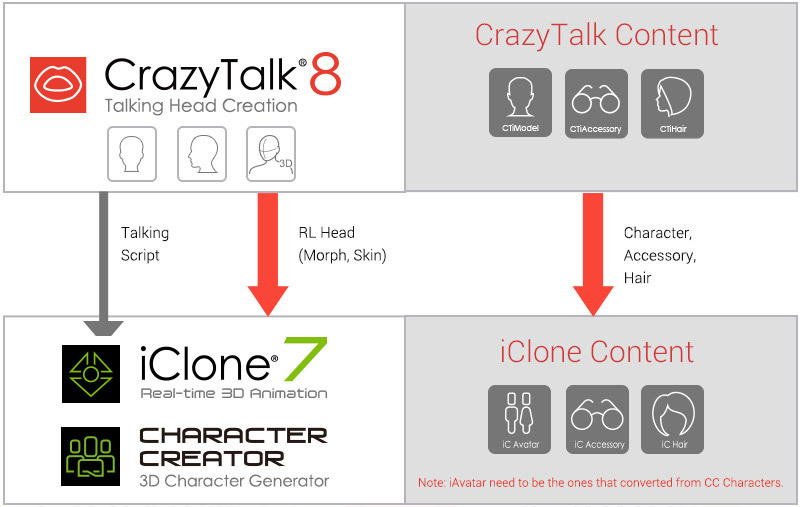 To export an accessory or a hair from iClone 7 to CrazyTalk 8, an iAvatar character needs to be selected as and converted to CC 1.5 or iClone 6.5 format using latest Character Creator. 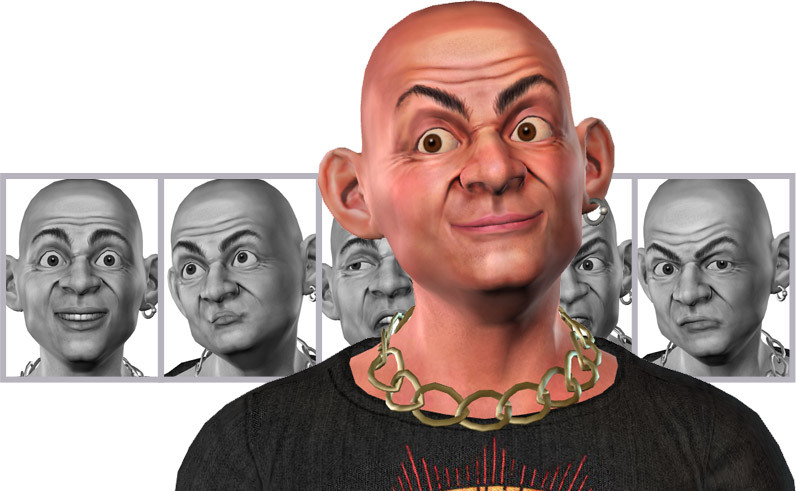 Turn photos into real 3D or classic 2D heads. 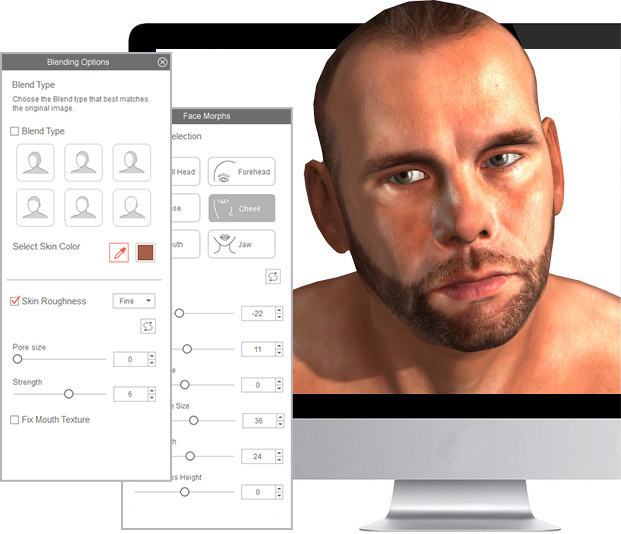 Employ the 3D face fitting technology for instant results. 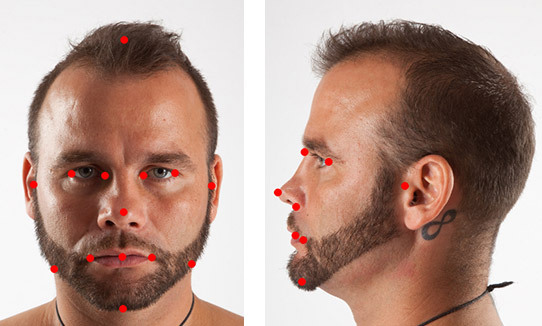 Synthesize an entire 3D head by using both Front / Side photo profiles for accurate looks. 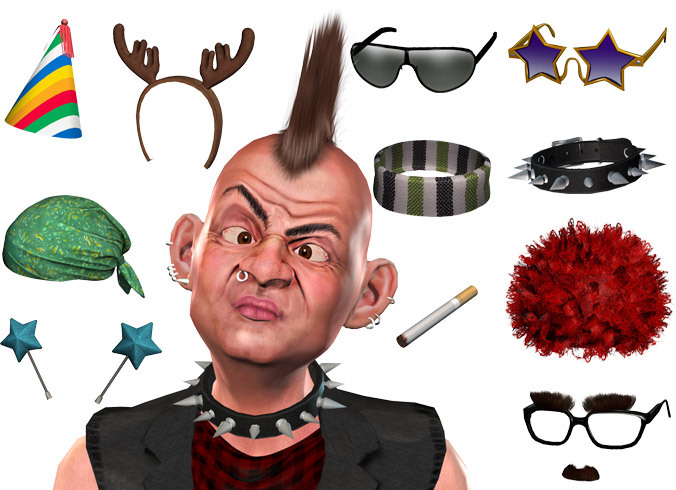 Freely dress up and customize accessory designs. Atmosphere settings with background, wind, and lighting. Soft-cloth physics and dynamic spring FX. 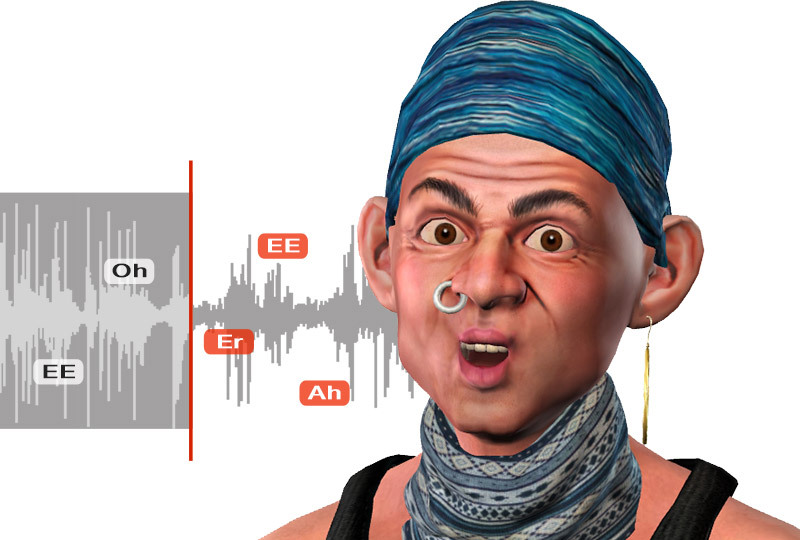 Automatically generate head and facial movements with the strength of your voice or audio files. Match animation scenarios with 2D / 3D Auto Motion Libraries. Further control selected parts, and fine-tune facial behaviors. Auto Lip-sync from text, audio, or your own voice. 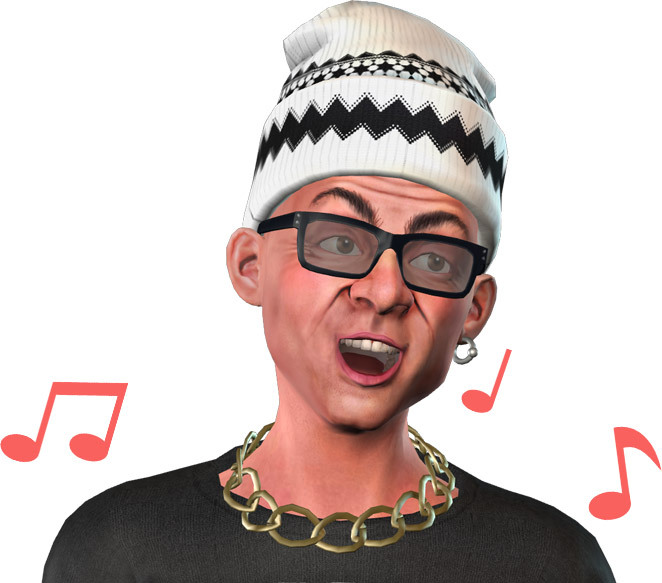 Adjust the smoothness and strength of lip animation on mouth, or down to individual parts. Puppeteer: Mouse control over both 2D & 3D Actors. 3D Motion Key Editing with Muscle control, Expression templates, and Modify sliders. Look at Camera function keep your avatar’s eyes and head following the audience. Enhanced Timeline editing with individual part control, and motion clips. Supports major image and video formats up to 4K (Ultra HD).